Duration: 26 min. per epi. 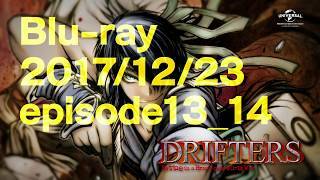 Unaired episode 13 and 14 of Drifters released only on BluRay. They were not bundled with the volume 1-7 BD releases of the main show nor were they labeled as "volume 8" on the official website.